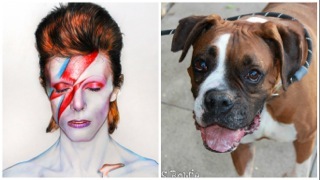 Despite the uncanny resemblance, Sachi's Bowie is definitely not a lad insane. This diamond dog in the rough is proving to be a model canine citizen, suitable for young American families or those about to enter their golden years. He's adoptable and adaptable. You might even say he's chameleonic. This boy is a star in the making! 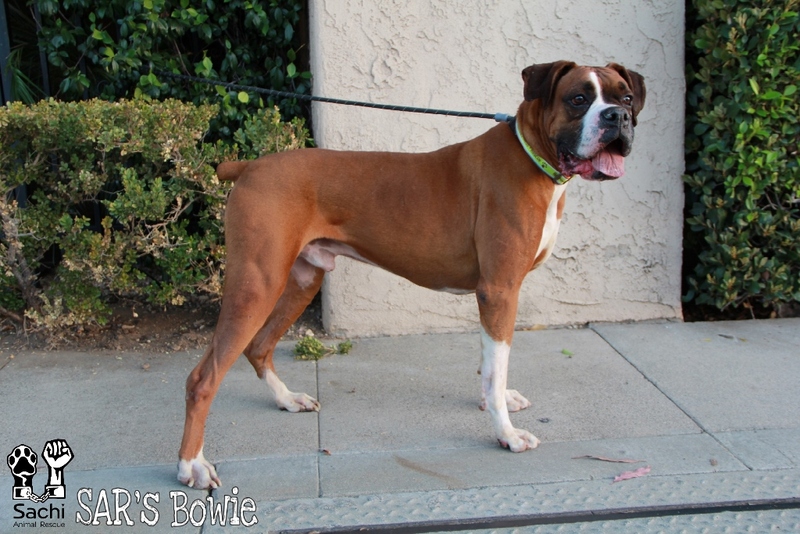 You don't have to be hip to the Thin White Duke to fall for our Slim Fawn Pooch. The kid has been sprinkled with stardust and that is a fact. 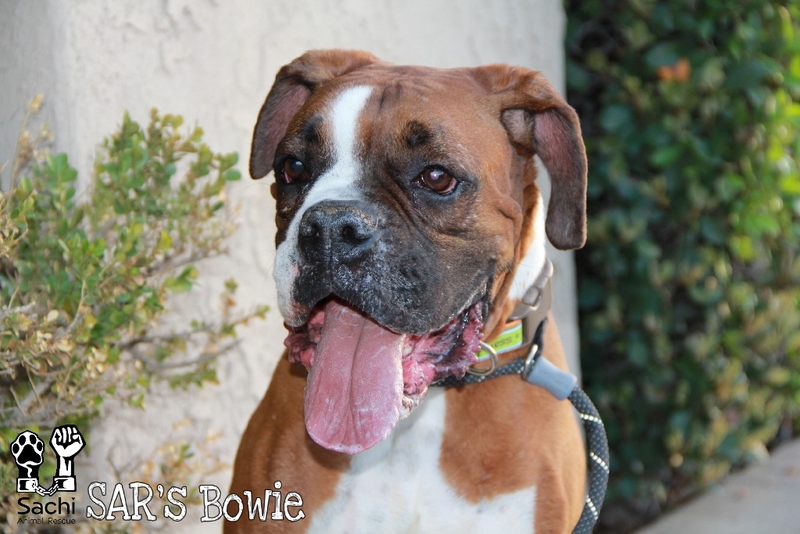 It's time for you to step up and be Bowie's hero.